• Large thread-on nut secures cable to helm. • Conical plastic nut holds spent travel tube. • Older systems may have 2 helms (twin station). Kit: None. Big-T is sold as components. 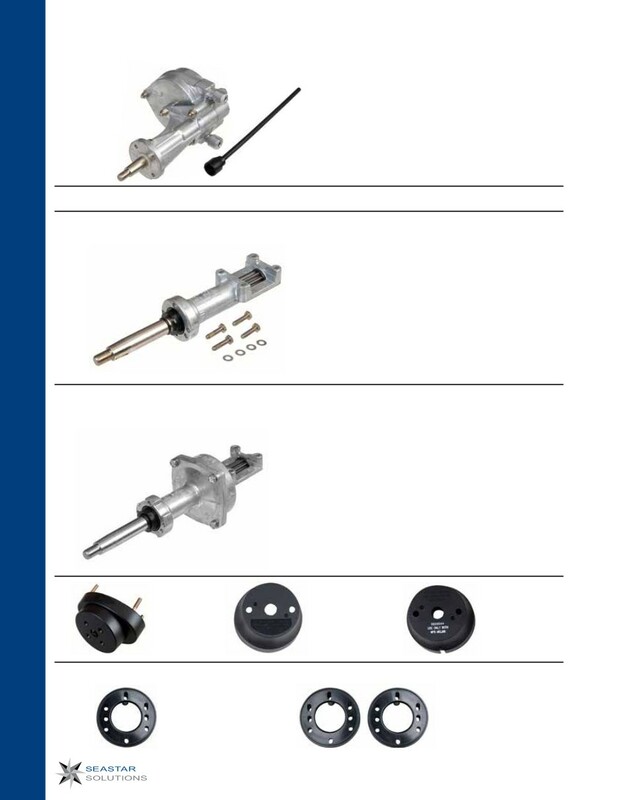 This is an overview of SeaStar Solutions RACK & PINION steering helms likely to be encountered. • Helm/cable install as unit from back of dash. not bolt up to older style cables). HPS Rack is sold as components only. • Helm has No FeedBack™ feature. SS152xx (NFB Pro Rack Dual Cable). This is an overview of SeaStar Solutions ROTARY steering helms likely to be encountered.